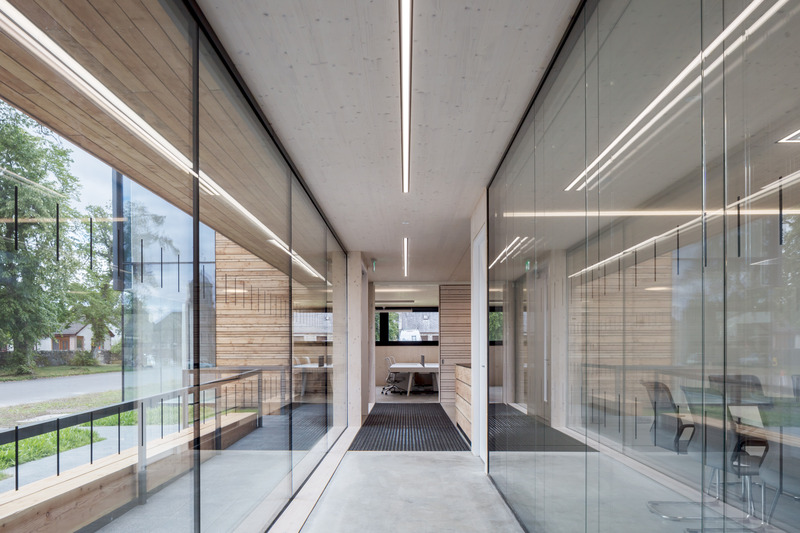 Moxon Architects has significantly extended and reconfigured the headquarters of the Cairngorms National Park Authority (CNPA) in Grantown-on-Spey on behalf of Reidhaven Estate. 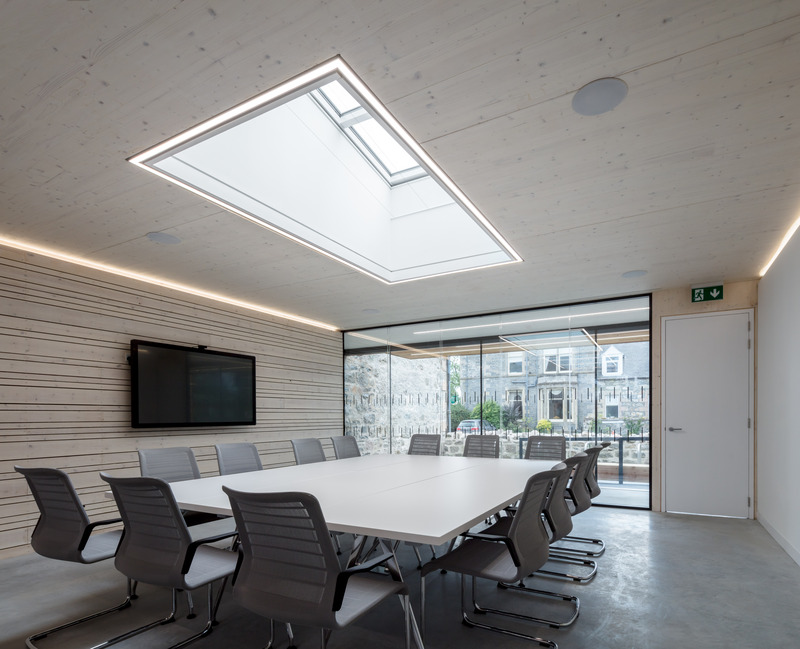 Collaborating closely with the Highland Council through an extensive public planning process, Moxon said it has created a progressive design in a conservation area that ambitiously rethinks how the CNPA operates and interacts with its public. The new building serves to raise the profile of the CNPA while offering an environment designed to promote collaborative working practices and welcome visitors. It responds to its context with a structure of exposed cross laminated timber (CLT) clad in natural European Larch, which will weather over time, alongside pleated zinc and frameless glazing. The new building offers an environment designed to promote collaborative working practices and welcome visitors.